These innovative gloves feature the latest electro conductive material technology in the tips of the index finger and thumb of both hands, to enable you to use touchscreen devices whilst wearing gloves. 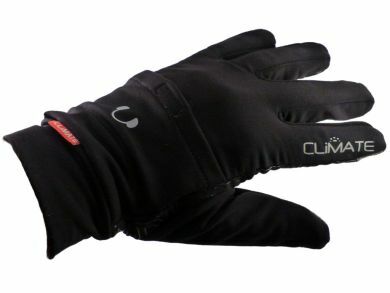 They are stylish and comfortable, made of a soft lightweight material, and will keep your hands warm whilst you use your mobile phone, MP3 player or GPS device. They also feature a unique pocket to store your earphones. Colour is mainly black, with grey finger tips and a rubberised pink detailing on the palms for extra grip.